Robert Dickinson lives in Brighton, England, and his life to this date has been shockingly uneventful. CLICK HERE FOR MORE STORIES BY ROBERT DICKINSON. 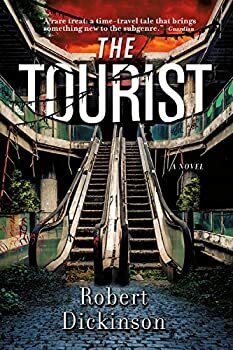 The good news is that, in terms of time-travel novels, Robert Dickinson does quite a lot of interesting things with The Tourist (2016): dual narratives — one straightforward and one circuitous, commentary on human nature, and the mechanics of time-travel itself, along with its social and economic effects on the 21st-century. The bad news is that the novel stumbles in the third act and never regains its footing, sacrificing clarity and plot in favor of poetic imagery.